Jungle Red Writers: Do you believe in dreams? JAN: Last week I had a dream that I was looking for my son, who was two-years old and hiding in a room. (it was an attic room with a slanted roof ) I was searching under the couch, but couldn't find him. In the way of dreams, I suddenly realized that my son wasn't two anymore, but twenty-one and six-foot three. No way could he hide under the couch or inside the window seat. I woke up, not frightened, but uneasy enough to email my son at college and ask if he was okay. Why? It's not like I have ever experienced prescience. Never in my life have I ever predicted something that actually came true. According to PSYBLOG, which is my favorite blog, I inadvertently subscribe to the "Freudian" view of dreams -- which is to say that dreams have meaning. Except, I don't really. 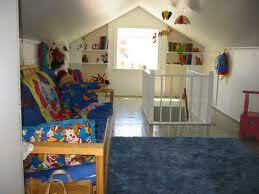 The attic room in the dream was my daughter's bedroom in our old house. I know dreams are just pulled from the scrap heap of my memories and thoughts. Sometimes the dreams are so incredibly superficial and banal that I keep those dreams to myself. And yet -- I still emailed my son to make sure he was okay. PSYBLOG reported that two researchers, Carey Morewedge and Michael Norton, conducted an international study on the way people view dreams. They asked participants who subscribed to the "Freudian" view of dreams, as well as those who rejected the "Freudian" view of dreams, to imagine they were taking a flight tomorrow and that the night before three things happened. 1. They consciously thought about the plane crashing en route as the route they were going to take. 2. They had a dream the plane would crash. 3. A real plane had crashed on the route the night before. The participants were asked which of these events were most likely to make them cancel their flight. The Freudians, of course, said the dream about a crash would be the biggest motivator to cancel. The majority of non-Freudians said the actual crash would be the biggest motivator, but it was only a slim majority. And even the non-Freudians said they would be more influenced by the dream than by the wide-awake "conscious" imagining of a plane crash. In other words, the majority of people gave some sort of credence to the dream. The study, found that this belief in dream's predictive power was strongest in the U.S., - where 56 percent of people think this way about dreams, South Korea and India. One of the cultural reasons suggested for this strong, stubborn belief in the power of dreams is the way dreams are portrayed in books, films and TV. As an author, I instantly recognized this as true. We only include a dream in a book to make it mean something. I'm not a big fan of dreams in books, and if you are in my writer's group, I write big red X's over your long-winded dream. But, even I have used snippets of dreams to show a character's worst fears. And because my books have thriller endings, my character's worst fears often turn out to be true - on some level. So how about the rest of you writers out there? Guilty as charged? And readers, do you believe in dreams? Maybe even when you don't want to? No, and I don't like them in novels either. They seem like a contrived device that is too obvious. I'm very discouraged by the statistics you present. I can understand South Korea and India, but the US was the land of individualists, not prone to fatalist theory. Is this a new development, perhaps the result of our economic situation? I sure hope not. Roberta might have a field day with this, but there are other ways to interpret dreams. We studied Gestalt therapy a la Fritz Perls in college (way last century) and what I remember from that is that you have the power of all parts of your dream. You might first identify with the woman cowering in front of the tsunami (or bear or out-of-control car), but you also have the power of the threat. I haven't put a character's dream in my writing yet, but if I did, I think I might use that Gestalt view of dreams instead of the Freudian. Big red X's? Wow, Jan, you're tough! My psychotherapy practice wasn't exactly Freudian, but more psychodynamic--the patterns of the past shape the person of today etc. So when dreams were brought in (or I brought one in to my own session), the first question was "What are your thoughts about it?" And then as we talked and the connections were spun out, the possible meanings of the dream opened up. So I think the same could be done for a character, only a little dreaming goes a long way...and dreams by themselves without the layers of interpretation are IMHO BORING:). Ah--yes, I used a snippet of a dream--a line or two--in PRIME TIME, to illustrate stress. I am completely fascinated by dreams--I know they're our minds working things out. Predicting the future? No. Understanding the present? Yes. For instance--when I was starting to write PRIME TIME, I had a recurring dream (I had it many *many* times, exactly the same dream) that I had found several new rooms in my house, beautiful rooms, with drawers full of wonderful things. I kept saying--oh, I forgot this part of my house was here! How did I forget this? It's all wonderful.. and fabulous and it was here all the time. I can picture it, perfectly, even now. Now. That seems pretty obvious to me. While I don't believe my dreams literally, I do take note of them and consider them important and worthy of examination. I've even had dreams or premonitions come true. Sometimes I dream scenes for books I'm writing and when I include them, the book is better. But that said, I dislike dream sequences in novels (and movies) unless they are short and make sense. I, too, would much rather read about a character tuning into other "gut instincts" than dreams. And, Edith, I hadn't thought of Fritz Pearls in so long and that brought back some interesting '60s memories. Thanks! I'm weighing in on the side of prescience dreams, at least in real life. I have too many instances of anecdotal proof in my family to list here. When I dream vividly, there's usually a reason. That said, I always think back to the season Dallas jumped the shark--the entire season of JR being shot was swept away with the explanation that it was all just a dream. Really?!? I have used a dream in one of my books--not the dream itself, but the aftereffects. The character awoke with a pounding heart and disoriented from a nightmare, but I never explained what she dreamed. If a dream moved the plot forward, create tension between characters, or give insight to the character, I might use it, and wouldn't mind reading it. But dreams as filler or exposition? Nope. No way! Yes dream sequences in books make me crazy because, well, they stop the action and usually go on too long. Hank, only you would have pleasant dreams that come true! Edith, I have such crazy, wild dreams sometimes that frankly, I don't WANT to know what they mean. And Silver James -- the after affects -- that's where all dream writing should start!! Although I have indulged in snippets myself. And Roberta, I AM pretty tough. I took a course in dream psychology at University and find I am able to interpret many of my dreams. For example, if I dream about a house, that house is me and how I feel about myself. Strange unknown rooms represent parts of myself I don't like or am not sure about. I've often had stress dreams--rushing to catch a train, trying to pack in time for a flight, have to take an exam at school, so we can tell that we do act out our anxienties in dreams. But as for predicting the future--the only time I took a dream seriously was when we had a flood in Texas. I dreamed my then two year old son was found drowned. I made sure I never let go of his hand until the water went down! Oh Rhys -- I'd have been crazy if I had that dream. When my daughter was 15 months old, we were sailing with her and we got swamped -- completely knocked over by a huge wave that slammed us into a sandbar at the mouth of Westport Harbor. The wave hit once, the boat righted, and it hit again. Luckily, my daughter was strapped into a car seat that was strapped into the cockpit. She's 24 years old now and still has bad dreams about tidal waves. There's an old saying - describe a dream, lose a reader. I ignore it completely in the Chet and Bernie series. Of course, I do have my one recurring dream..which I haven't had in a while and miss! Lions..me..a little nervous-making but I always escape. Rhys, any insights? I don't know about dreams in books but dreams in movies are never like real dreams, kind of like drug experiences are never like drug experiences, except for Fellini, whose movies were pretty much dreams but but never presented that way, except in after-the-fact critiques. Don't much care for Bergmanesque dreams either. I had a neat little book on dreams. I check them out by seeing if they interpret the symbolism from my most recent dream. This book wasn't very comprehensive but it was muy simpatico with my dream life. I once read a bunch of comic books by a guy who had people tell him their dreams and he turned them into comic books. None of the episodes was more than three pages and some were one. There wasn't any resolution or sense to them, he just illustrated what people told him, and probed for authenticity to weed out people making stuff up. I had a chance to talk to him and he said don't listen to others interpretations of your dreams. It's just random images from waking life jumbled in your unconscious. He had thought about it a lot and I liked what he said. Ro, I believe that when we dream of any kind of large animal it usually means something we're not sure we can handle, either in our lives or ourselves. I love dogs but will sometimes dream of a very large dog who represents some kind of danger to me. A lion I would think might be something exciting, but challenging. I think it was a National Geographic article that presented the two extreme views of dreams. 1. Our subconscious is trying to hide meaning in symbolism. 2. Our brains are trying to construct a narrative from the discharge of electrical activity and associated images. For real life, I tend to believe in the second theory. After a talk by a psychoanalyst who was the father of a high school classmate, I kept a little notebook by my pillow for years and jotted down whatever I could remember of dreams when I awoke. I never wrote down anything predictive, but did note a few recurring types of dreams--flying, remembering I had an exam in a class I forgot to attend all semester and--Yes, Hank!--the dream about finding a room or a whole wing of my house that I didn't know was there. n fiction, I think dreams serve best to reveal something about a character's anxieties or preoccupations. The only opening dream segment I can think of that works really well is "Rebecca," because the telling element is in the emotional description of the trees, vines, lighting, etc. AS far as the plane test goes, I think the results would have been different if one of the choices were "I would not cancel my flight." I don't think a dream about a plane crash could be predictive of a crash, but might reveal the character's anxiety or uncertainty about the trip. If I had to pick one of the three answers, that might have been mine, too, for that reason. Shall we all log on tonmorrow with whatever we remember of our dreams tonight? Except for the obvious anxiety dreams, I'm with Gene and Mo on dreams. I once interviewed a Harvard brain researcher who said sleep is when we process trauma and extreme emotions and the point of dreams and the whole cycle are to sort of wash out the brain or at least neutralize some of othe tough stuff. And Mo -- I had two martinis last night which knocked out any of my dreaming so nothing to report this morning. No remembered dreams to report here either, though I've sometimes remembered bits of the previous night's dreams when I first go to bed. I think they are triggered by the pillow scent.